The oral and poster sessions, and the conference dinner on August 27, takes place at IDA Conference Centre in the house of The Danish Society of Engineers. 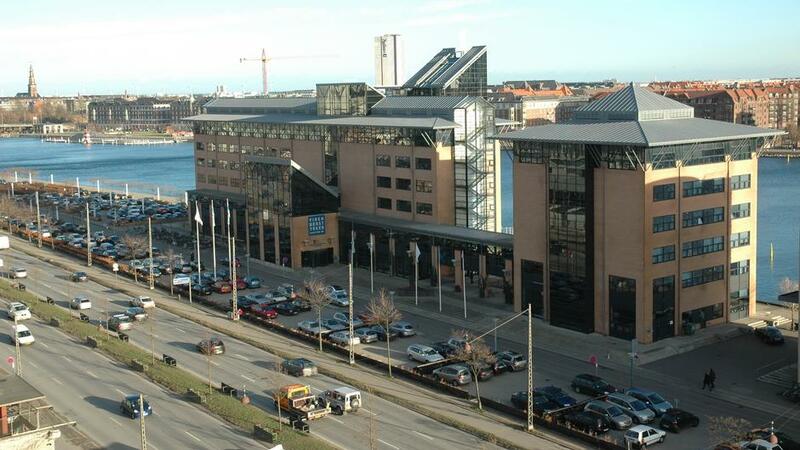 IDA Conference Centre is located at the harbor front in central Copenhagen with easy access from Copenhagen Airport. When arriving through the main entrance (below the blue sign on the photo) registration is to your right. The exhbitors, refreshments during breaks/poster sessions and the poster hall are behind the registration/information desk. The restaurant is straight through past the registration desk. The oral sessions are on the first floor up through the spiral staircase, room 101/102 to your left and rooms 104 and 105 to your right.